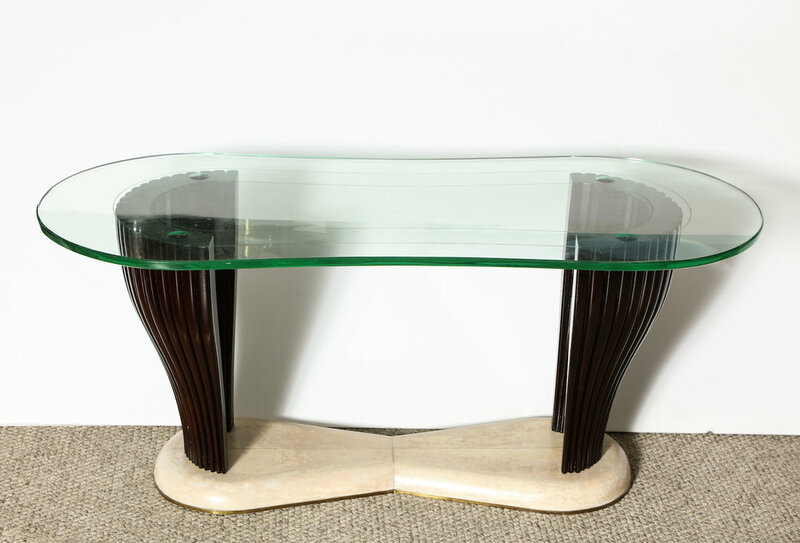 Curved and ribbed wood base with parchment-covered foot. 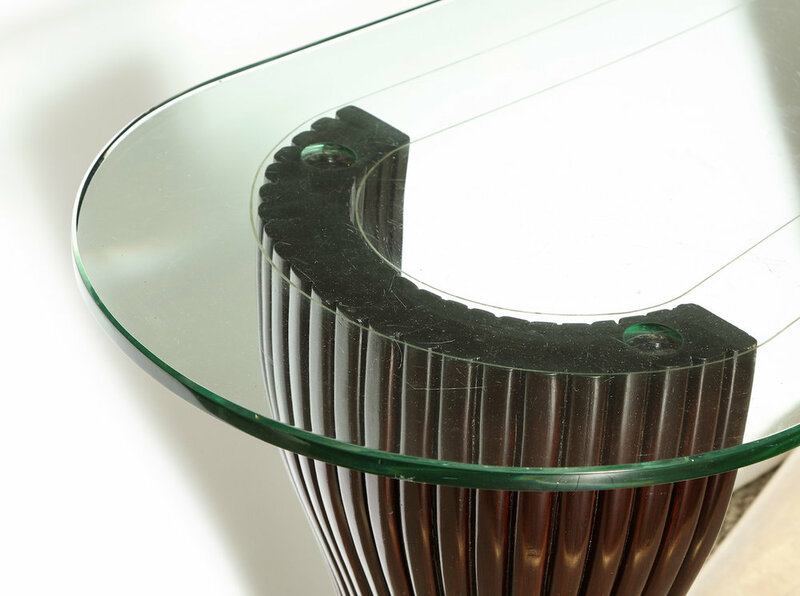 Irregular glass top with etched surface. h. 20.5" w. 47" d. 28"
Very good original condition. Some scratching and general wear to glass top.